Elias Canetti got the Nobel prize in literature for the novel Die Blendung. It comes to my mind after spending a week in Burgundy, tasting several hundreds of the worlds' most prestigeous wines, day after day. Wines where 9 out of 10 fall into pieces after some years, after having been sold at astronomical prizes with promises of a glorious future that never arrives. At the same time you may uncork a 20 year old Alsace or Bordeaux at any quality level, selected with blindfold without any worries of oxidation. 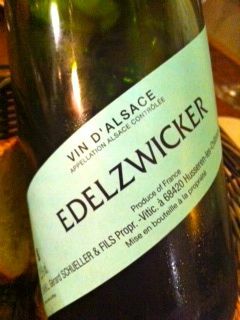 Edelzwicker from Gérard Schueller in Husseren-les-Château has a lively and attractive aroma of flowers, mango, apricots and yellow apples. 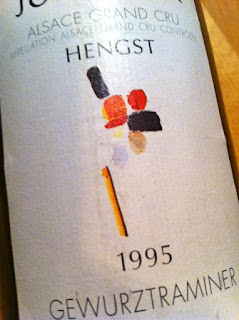 The taste is good, honest and refreshing with lovely acids, a nice backbone and some length. Price: Next to nothing. A wine consists of equal part chemistry and emotions. Some wines make our eyes water, by admiration and by the privilege of getting to drink them. A great wine that approaches its' 20 anniversary attains many similarities with a great piece of art or a classic piece of music: the convey an impression of both a lot of energy and of eternal life. 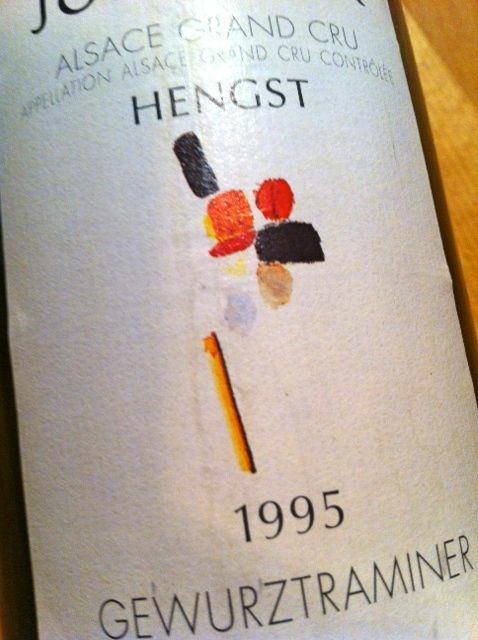 1995 Gewurztraminer Grand Cru Hengst from Josmeyer i Wintzenhem is golden and crystal clear. The aroma is expressive but not vulgar and offers roses, ginger, nuts, chocolate and a hint of volatiles as signs of maturity. The wines coats the mouth, and the pure and complex taste is harmonious with fresh acidity, layers of elegant fruit, fully integrated sweetness and a stunning minerality that lingers on forever in the dryish aftertaste. Magic! Price: €23 (year 2006).